The annual festival held at the heart of George Town’s heritage zone. Various shows and events will be held during the duration of the festival. 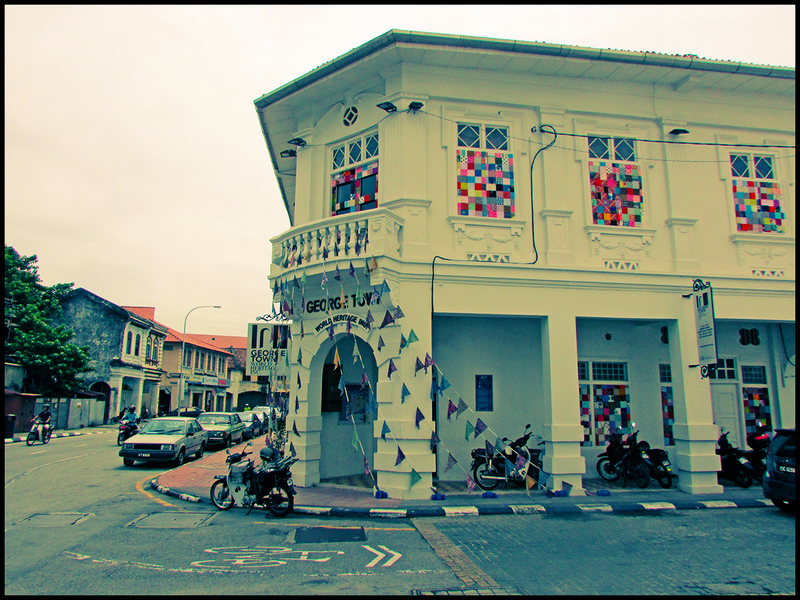 This year’s Heritage Day celebration and festival are being held from 7th to 9th July at the heart of the heritage zone in George Town, such as the areas around Armenian Street, Kampung Kolam and Ah Quee Street. The theme for this year’s festival is “Walk the Talk: Oral Traditions and Expressions”, which showcases the local communities’ culture and language/dialect such as Indian Muslim, Teochew, Malayalam and Telugu. There will be cultural shows, interactive activities and performances along with history-guided trails on the origins of the heritage streets in George Town. The 3 days festival starts in the evening till the nights. 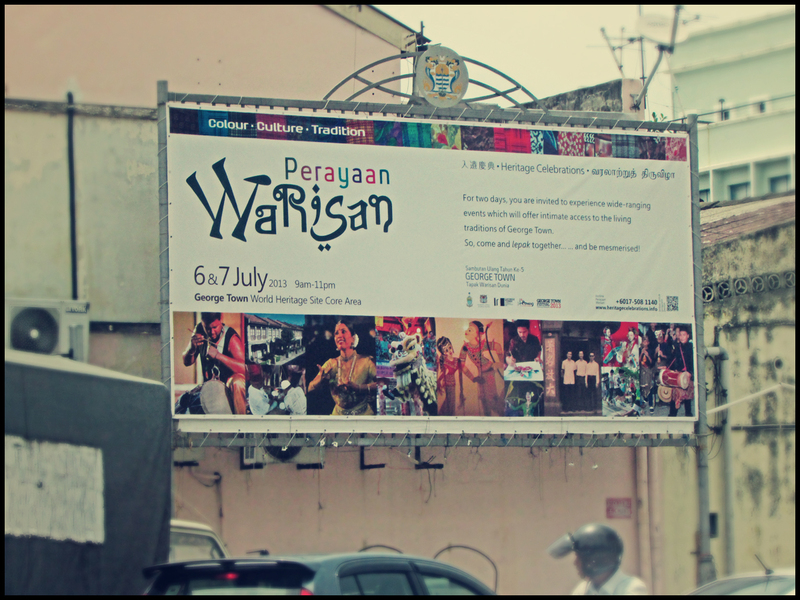 A billboard advertising the George Town Heritage celebrations which culminates this weekend (6 and 7 July). The George Town Heritage Office geared up for the weekends’ festival and celebration.